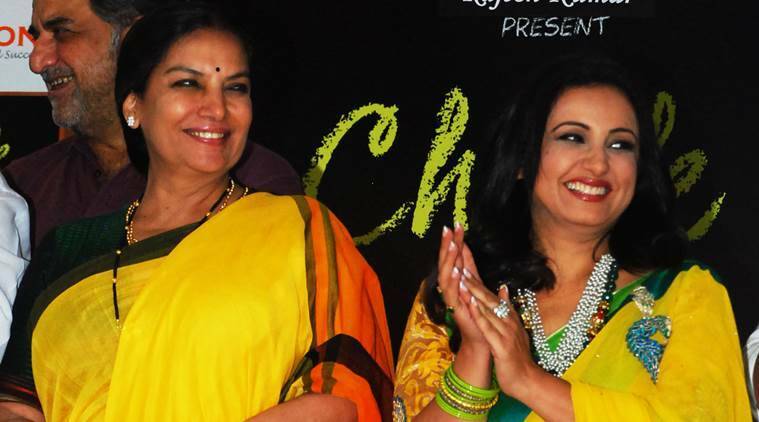 Divya Dutta's 38th birthday was made "very special" by her "Chalk N Duster" co-star and veteran actress Shabana Azmi. Divya Dutta’s 38th birthday on Friday was made “very special” when she received a compliment from her “Chalk N Duster” co-star and veteran actress Shabana Azmi. Divya Dutta‘s 38th birthday on Friday was made “very special” when she received a compliment from her “Chalk N Duster” co-star and veteran actress Shabana Azmi. “Happy happy birthday @divyadutta25. What a super performance in ‘Chalk And Duster’ and so different from ‘Bhaag Milkha Bhaag’. So proud of you, bless you,” Shabana posted on Twitter. Directed by Jayant Gilatar, “Chalk N Duster” also stars Juhi Chawla, Jackie Shroff, Samir Soni, and Girish Karnad among others. Divya, who has been a part of the industry since the last two decades, has starred in films like “Badlapur”, “Welcome to Sajjanpur”, “Veer-Zaara” and “Baghban”. She is spending a working birthday. “Best way to celebrate…Shooting with the super talented Pradeep Sarkar!ahem bad network though! But good morning from the b’day gal,” she tweeted. Best way to celebrate.. Shooting wt t super talented pradeep sarkar!ahem bad ntwrk though! But gudmorn frm t bday gal!!! !